We love it when our photographer friends humor us by taking photos while the shades are in action. After being slightly puzzled at first when we ask, it quickly makes sense... shades are so important at SAV, from how they're controlled to fabric choices, and so much more, and they are always delighted to capture a little magic for us. So what else is important?! Yes, control is HUGE, from a simple press of a button on an enhanced wall plate or remote to a slight touch on a wall panel or your smart phone – even by voice – you know, that ah-ha moment, but the beautiful fabric choices are also very important... UV control, percentage of transparency, full blackout, etc. 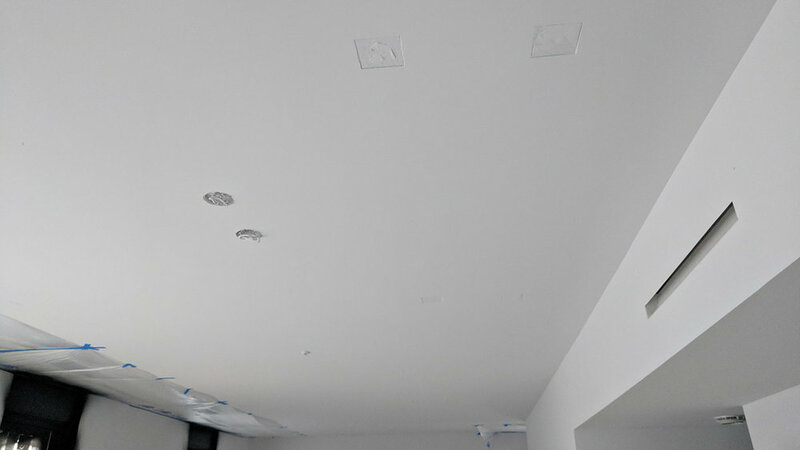 And what about how they are installed... exposed, within valences, hidden pockets in the ceiling? Technology, control, design, aesthetics, style, craftsmanship, reliability, precision, scalable, intuitive... In other words, we take window treatments VERY seriously. 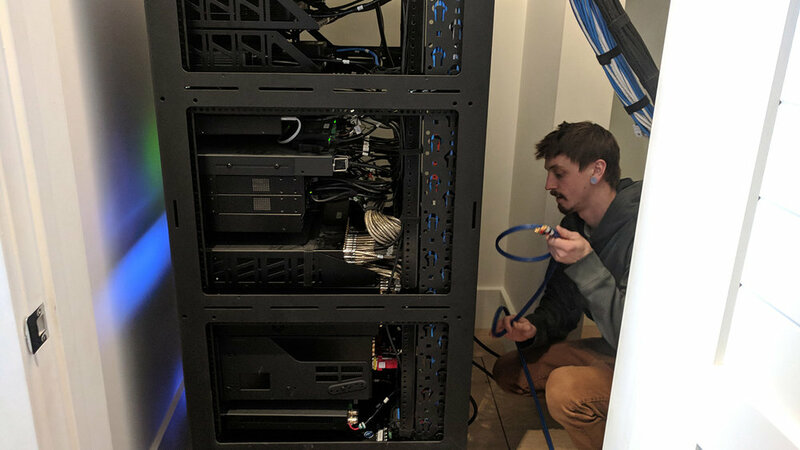 Just about a year ago we captured a couple of our technicians putting the final touches on one of our clients racks, and since then it's been a fun game of hide and seek finding these centralized "brains" of our custom technology integrations. Some are are on display... 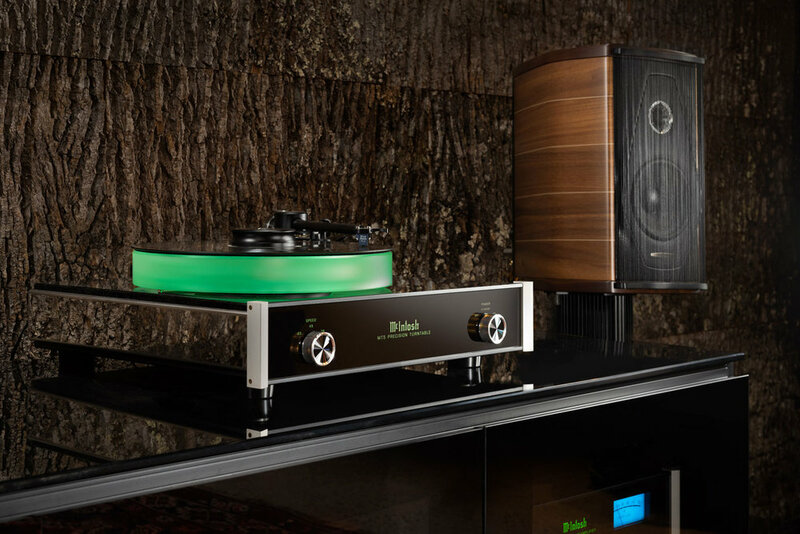 I mean why not, they are pretty impressive (on a very nerdy level, but we plead guilty), nonetheless even when they're tucked away in the basement or boiler room, they are definitely a statement piece when you come across them. 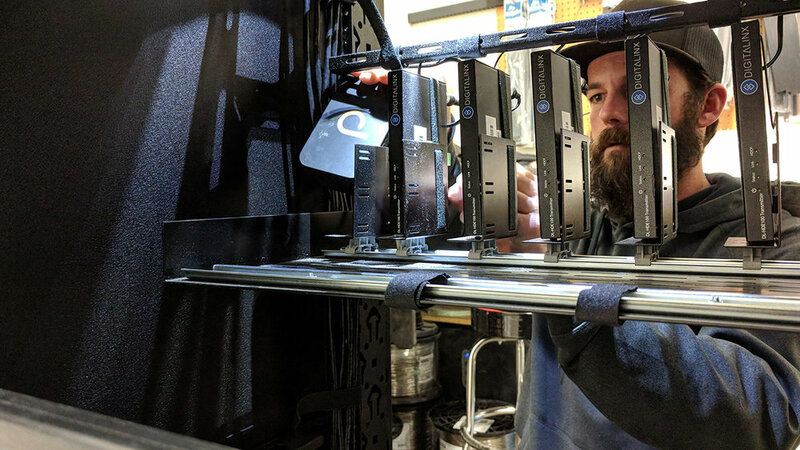 Precisely built to not only keep equipment stylish and organized, but safe and efficiently running, when it comes to racks we take them very seriously, from keeping temperatures at ideal levels to organizing the wiring so perfectly it's hard to believe someone took the time to make them so pretty. Yes, we have been here since 2004, back when the doors opened as Studio AV in the early days, but a lot of people didn’t know what was inside this unique building up North Wallace in the heart of the Northeast neighborhood. Back then it was a space for growth… a place for employees to work, a place to test out the latest and greatest home and business technologies, a place to build systems that would inevitably become the central nervous system of a nearby smart home or commercial environment, figuratively speaking. We have been very fortunate over the years and finally reached a point of growth that we needed to open a new office for all of our employees to collaboratively work within. 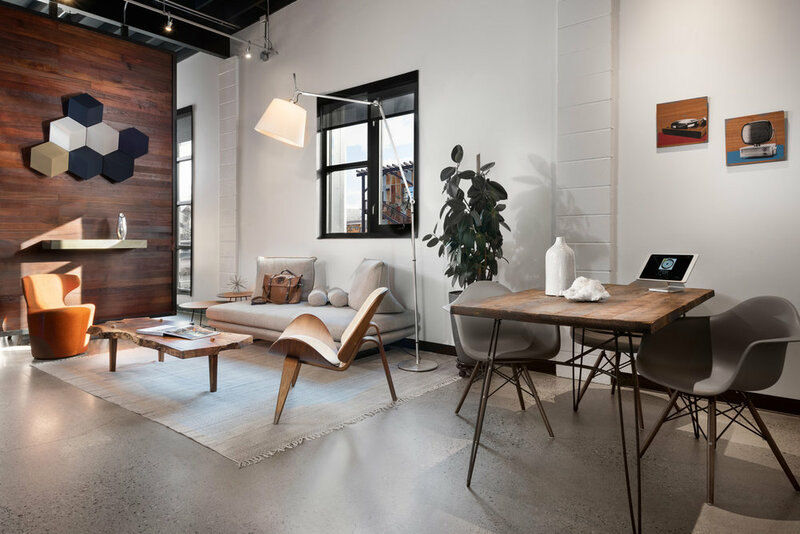 So what better to do with our Bozeman space than create a showroom out of it. 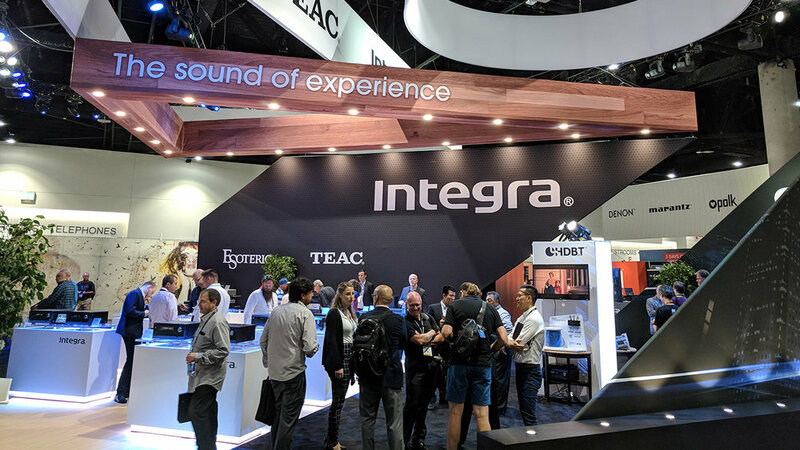 A place that provides anyone that visits a glimpse at some premier technology; audio/video systems, automated shades and lights, smart glass, security and surveillance, an intelligent conference room, and soon the latest in voice AI. We couldn’t have done it without you… our clients, our partners, our friends and family. 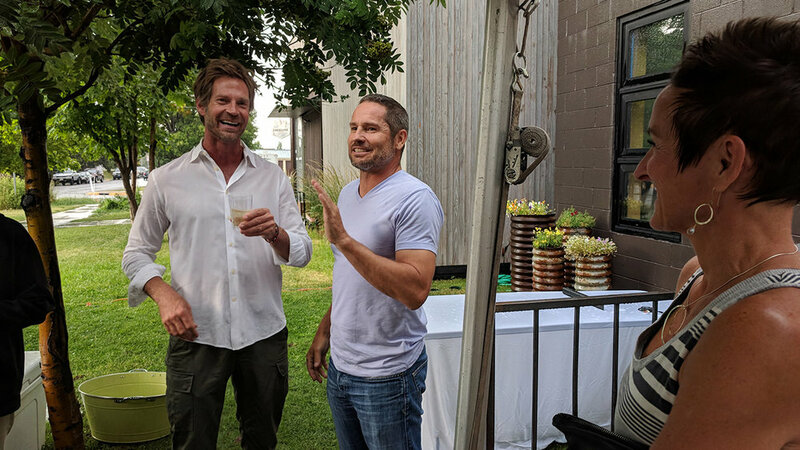 A big thank you to everyone that has been a part of this journey with us, and a special thank you to those who have helped us turn this environment into a very special place so near and dear to our hearts; Minarik Architects, Envi Design, Urbaine Home, Earth Elements, and so many more. Happy New Year and here’s to a prosperous 2019! Most people are accustomed to seeing our integrations after they’re complete… the glitz, the glam, the technology. The finished product is always so impressive, but we must never forget all of the hard work that goes into each and every one of them, from the beginning to the end. 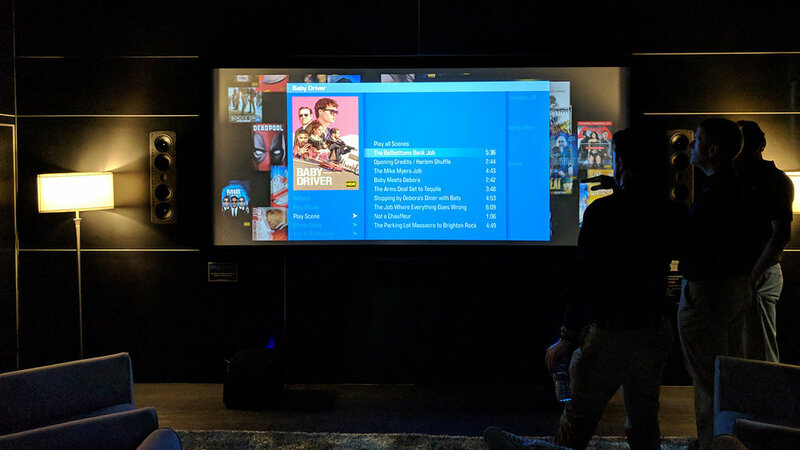 Here is a great “behind the scenes” look at the teamwork that went into this custom install… a 99.5 x 72” Séura Mirror with LED Lights and a 27” TV in the center. 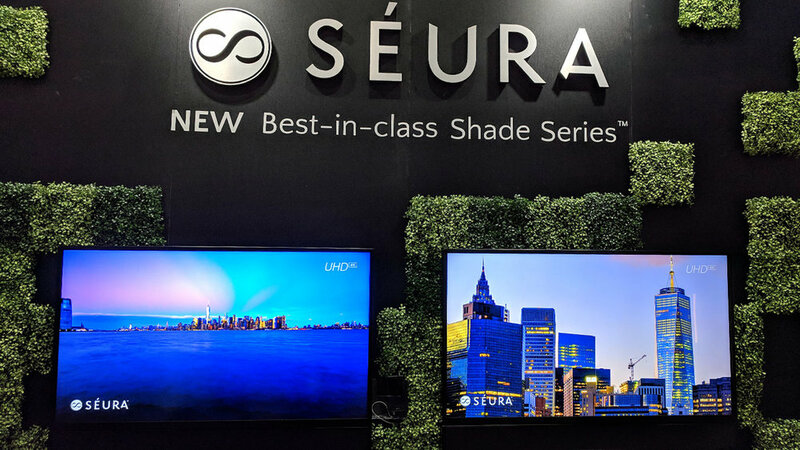 Bridging the gap between design and technology, Séura offers an extensive line of innovative products, including smart mirrors, and our clients are always very excited to have them as an option. Accompanied by 20 zones of distributed audio, 13 zones of video (9 of which are from central distribution), a home theater, entertainment room and bar, all intuitively controlled throughout this gorgeous home with Savant, as well as automated lighting and shades by Lutron, we then put a cherry on the top by recessing and concealing a 65” 4k TV above the fireplace in the living room, hidden behind split panel art. Taking it a step further, built to match the width and aesthetics of the display, we had a custom sound bar made by Leon, flush mounted with the TV below, marrying the two. 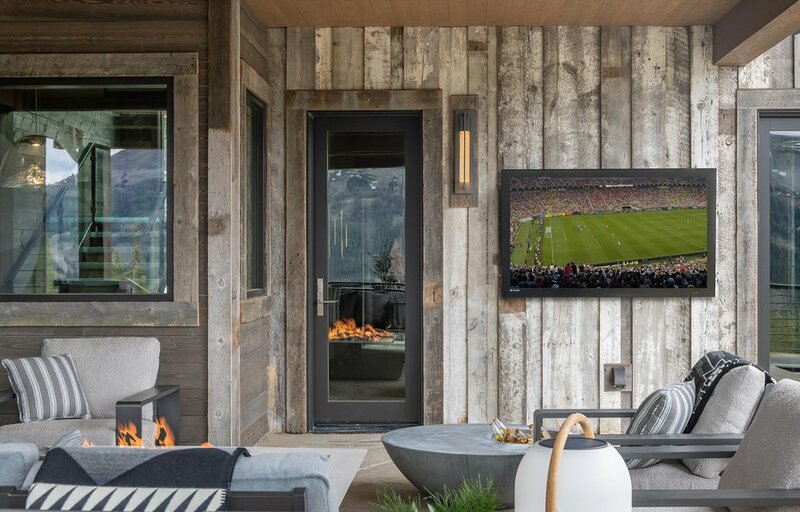 Integrating sound bars is a great way to enhance and provide substantial voice and sound reproduction which is not possible with built-in TV speakers, providing directed sound from the display creating a realistic viewing experience. When the TV is turned on, the panels split and slide to either side with the help of Future Automation, revealing the display and sound bar. When turned off, they slide back together creating a piece of art, completely hiding the TV and automation equipment within the enclosed frame. 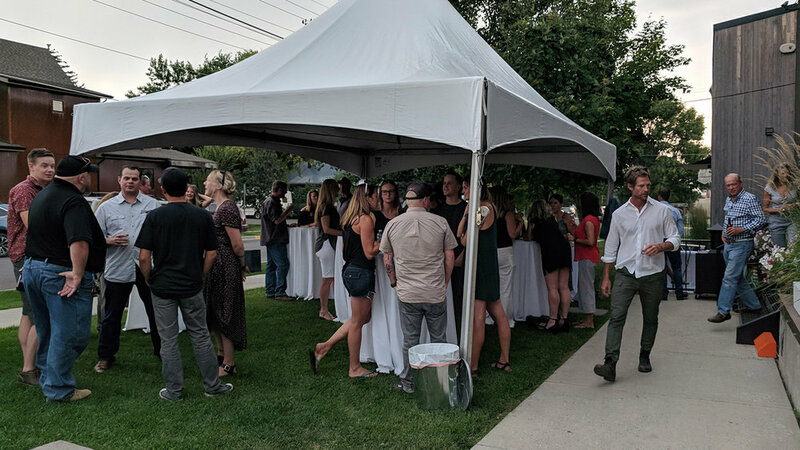 If you're interested in a CEU (come Jan or Feb 2019 at our Bozeman & Big Sky showrooms), let us know. We just had a couple 1 hr. sessions the other day with SÉURA called "The Science of Light," approved with Heath, Safety & Welfare (HSW) designation by IDCEC, and enjoyed the company of folks from Centre Sky Architecture, Bechtle Architects & Love Schack Architecture to Envi Design, ICON Interiors & Pomarico Design Studio Architecture. If you're interested in one too (subjects change CEU to CEU), comment below or send an email to scott.abel@savinc.net. 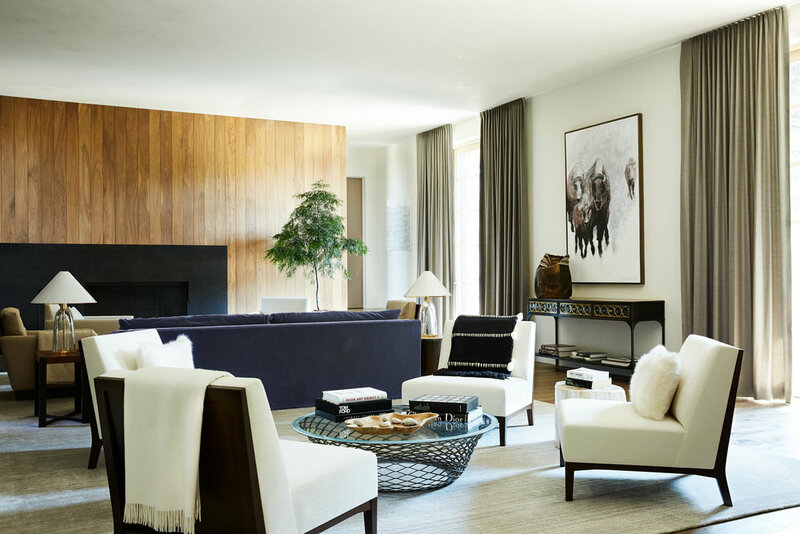 In addition to the architecture and interior design, the cutting-edge digital component of the home contributed to its winning status—many amenities are invisible when you enter the home, which helps create the home’s tranquility. 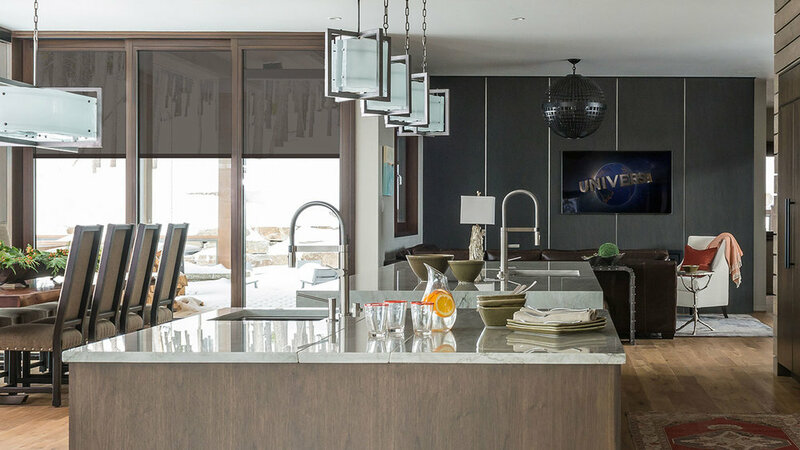 SAV worked with WRJ Design from the beginning of this project to provide lighting control, automated window treatments and AV throughout the home, amongst more. 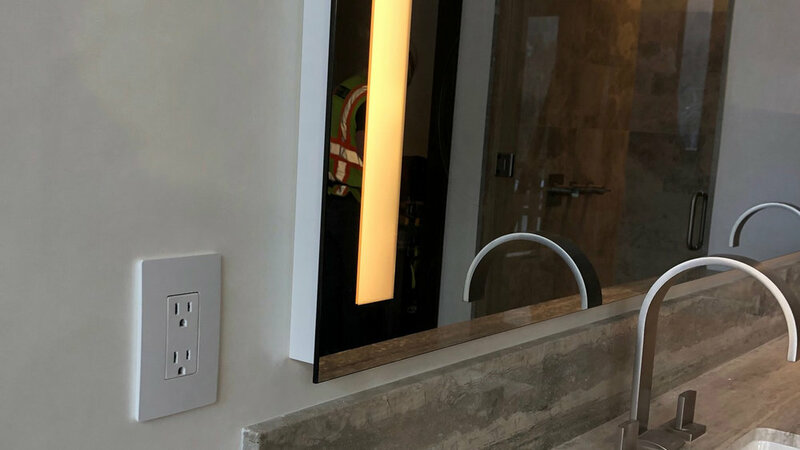 Flush details: To eliminate bulky components and preserve the aesthetics of the home, such as wall outlets and switches, SAV used a trimless and flush mounting solution throughout for wiring devices and automated controls such as lighting and shades. Automated shades & drapes: Electronically controlled and hidden within pockets, or recessed into the window casement when up, SAV integrated shading solutions that a create a seamless appearance throughout as well as automated drapery that opens and closes with a simple push of a button. Invisible speakers: SAV installed invisible speakers in the walls and then finished over them with the surrounding surface to deliver ambient music that emanates throughout the space with no visual footprint. It’s almost as if the walls become the speakers themselves. Lighting control: SAV knows that lighting has a significant impact on not only the aesthetics of any given space, but the occupants as well. 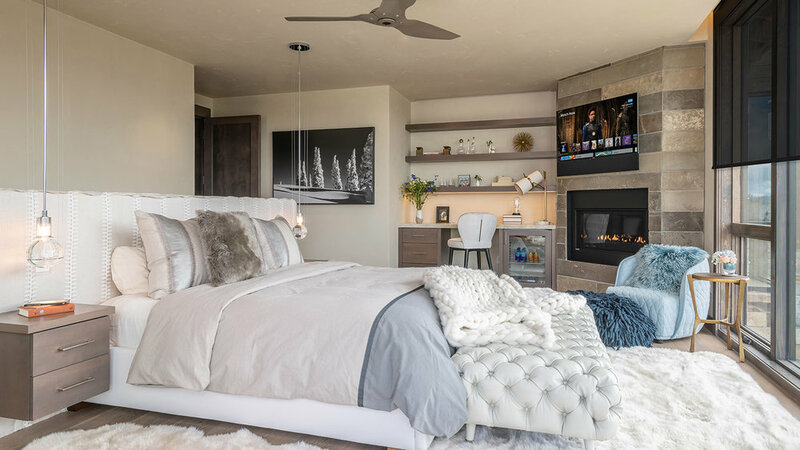 In order to achieve enhanced levels of comfort, they added high-performance lighting and control throughout the home for smooth and continuous dimming. 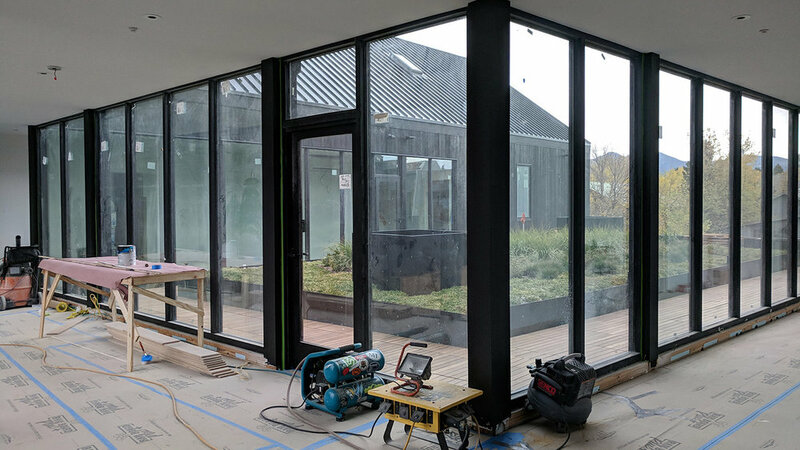 Not only does this approach save energy, it helps maintain a visual quality for the occupants without compromising the building’s electrical infrastructure. It’s all starting to come together and our excitement levels are off the charts. 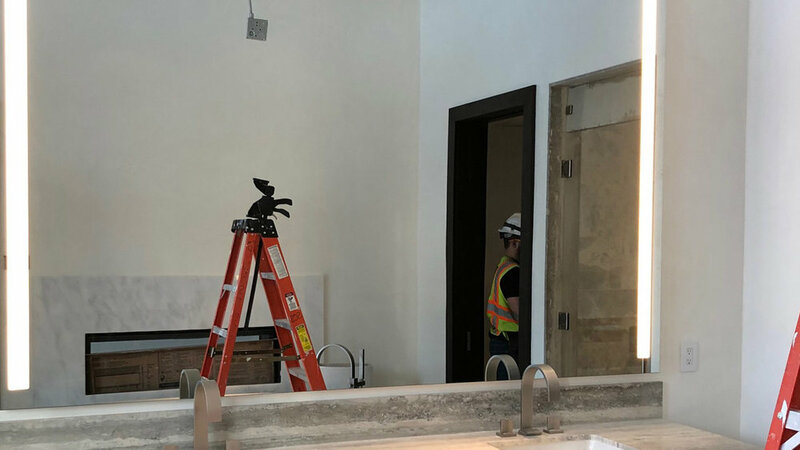 A few months ago we captured some of our team in action in this soon-to-be SAV livable space that’ll combine human-centric lighting, high-level audio, and modern sophisticated design offering an experience that’s bringing comfort, technology, architecture, and elegance together. But it’s more than just the SAV livable space, you can really start to see the whole building come to life, even the commercial space. 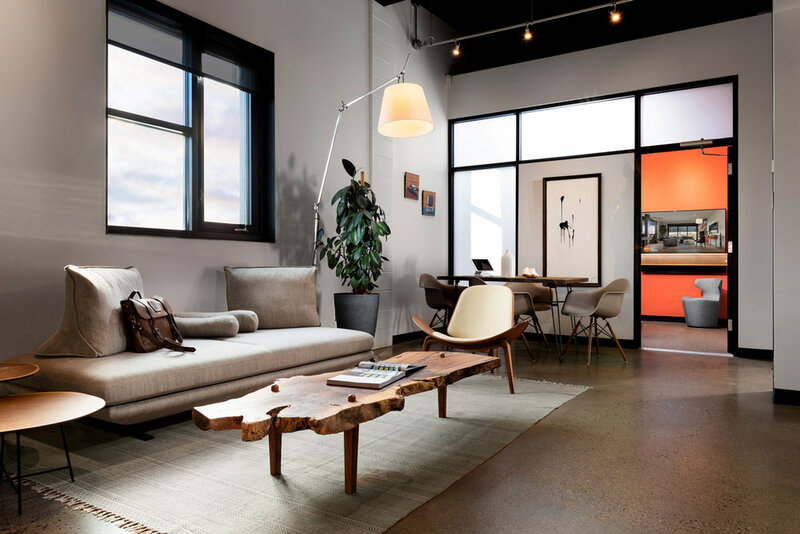 Not only will the livable space house cutting-edge smart home and business solutions, the rest of the building is going to be a great representation of modern technologies that are redefining the way people live and interact with their environments. 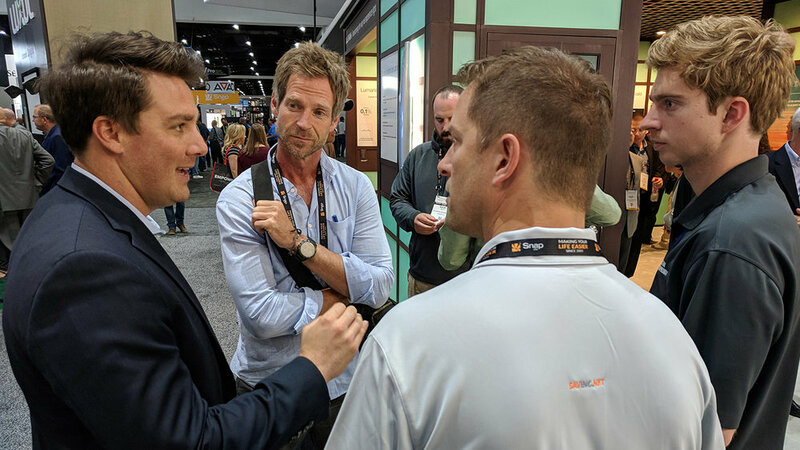 In the ever-changing, ever-evolving, fast-paced home and business technology industry, when opportunities present themselves such as CEDIA (Custom Electronics Design & Installation Association), it's not only highly beneficial but important to attend and participate in. This year, like last, San Diego hosted more than 20,000 technology professionals and over 500 exhibitors. We were excited and fortunate to attend again. Thoughtfully touching nearly every corner of SAV, from Sales, Design Engineering, and Operations to Project Management, Client Services, and Technical Services, we received the opportunity to see new products as well as breakthrough innovations and participate in targeted training courses. 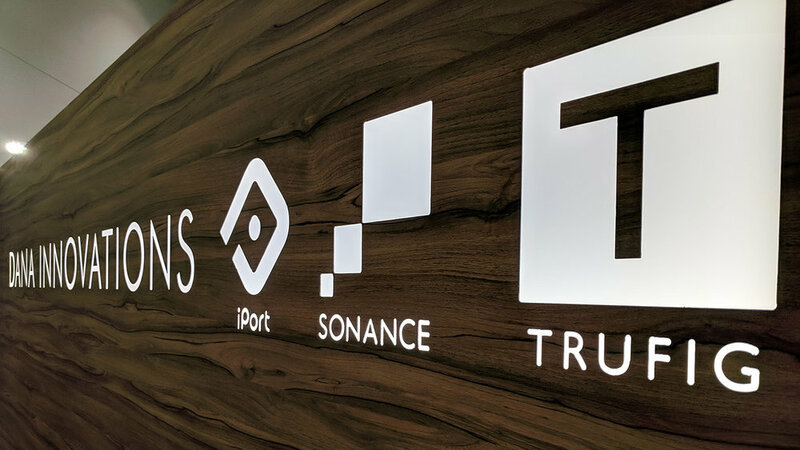 Seeing and learning about cutting-edge technologies, first-hand, not to forget to mention having intimate one-on-ones with partners such as Séura, Lutron, Savant, Josh.ai, Nexus 21, Sonance, and Sonos, the experience is priceless. 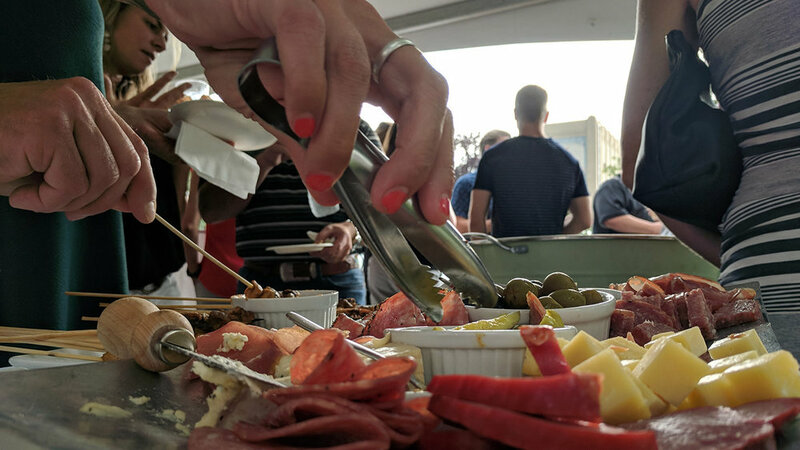 We can't forget about spending quality time with our manufacturer reps and then seeing and participating in activities with our fellow colleagues. It was a time, and experience, to remember! Whether it's natural light intuitively controlled by automated shades, blinds and even smart glass or in-home lighting from in-ceiling fixtures and chandeliers to ambient under-lighting, we love coming up with solutions that don't compromise the flow and integrity of any given space. We like to enhance the environment with lighting control through careful consideration while paying attention even the smallest details, which in turn allows the overall environmental design to be the focus, not the lighting. By taking this approach, we bring style to life and maximize efficiency, convenience, comfort levels, and above all, energy consumption. What a great event! Thanks to everyone who swung by and a huge thank you to James Loudspeaker, an incredible audio partner that takes pride, and they should, in coming up with innovative solutions, unprecedented customizations, and flawless sonic reproduction within residential and commercial, indoor and outdoor, applications. Imagine skiing or hiking up to your mud room and the doors slide open automatically for you. 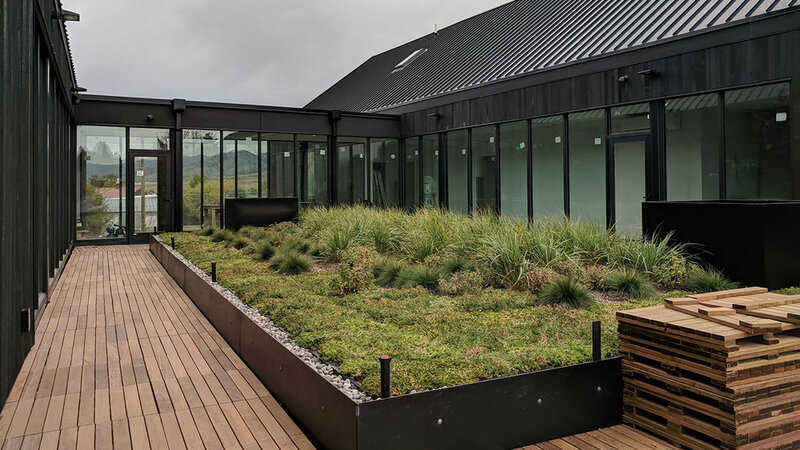 This high-end smart home brings a new meaning to the idea of ski-in, ski-out, or hike-in, hike-out, depending on the season, by blending a mix of cutting-edge technologies with innovative ideas. Winter or summer, this home screams "entertainment" with all of its unique features, technology, and layout. Whether it's the automated sliding doors guiding you elegantly into the entertainment room downstairs that houses a home theater, pool table, and bar, or the deck above with panoramic views of the rocky mountains containing an automated fire pit, hot tub, weather proof TV and surround sound speakers, SAV's custom low-voltage integration system in this home utilizes the best of today's capabilities, all from a centralized secure IP network. Not only are guests able to relax to streaming music that touches every corner of this home while sitting in an interior jetted tub, instantly being able to tint the windows with the press of a button, if they want, they can simultaneously watch movies, catch the game, play video games, or sing karaoke, all in surround sound from the various 4K TV’s and cosmetically matching sound-bar speakers throughout. The only thing that makes that better is doing it from the 160” projection screen that drops in front of the main TV in the downstairs entertainment room! 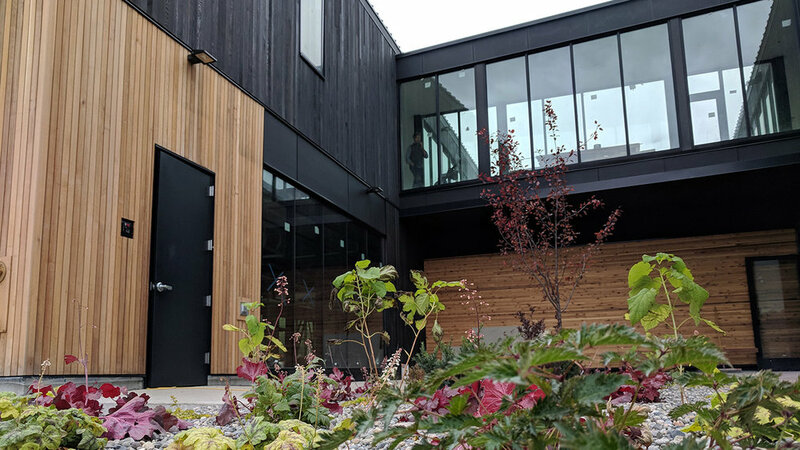 From all of these technologies and features, including security cameras covering the whole premises, entry point detection, and automated lighting and shades, this home packs a tech-punch that is hard to beat. 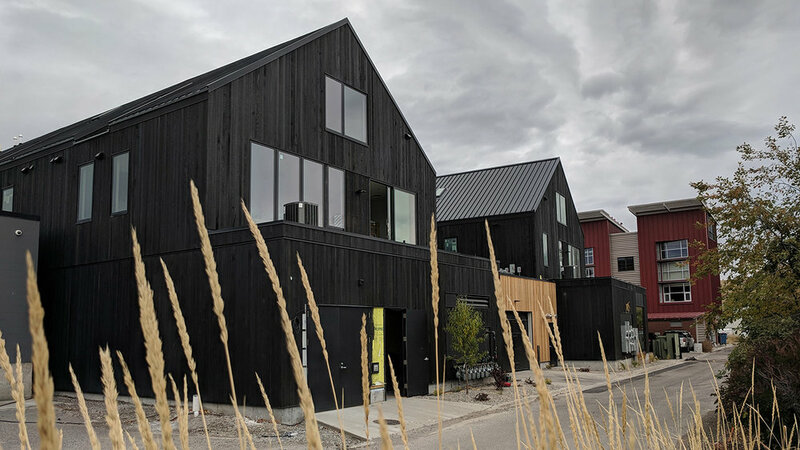 Taking in the beauty of Montana’s Gallatin Gateway on the drive to Big Sky from Bozeman arguably primes ones senses for this project of SAV's we call "Wilderness Ridge." 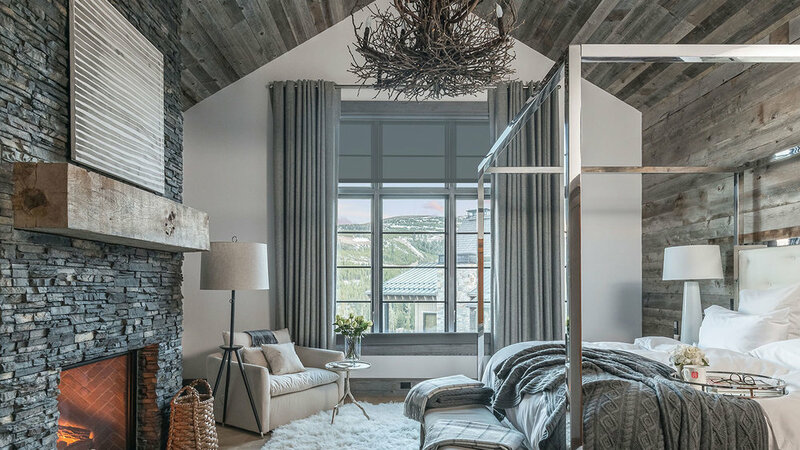 The first view of this modern home of stone and wood, contained within an elegant steel structure, presents itself as an artful fusion of unique, contemporary features with a “touch” of Western character. As you approach this immaculate home, it seems to invitingly guide one in with illuminated down lights spotting from a wood ceiling, highlighting the entry and soft stone wall to the left, getting an overwhelming feeling of being welcomed. Entering, a visitors first “handshake” is with the lights, slowly dimming to off, as the west-facing shades reveal the gorgeous views and bright blue skies. Although filled head to toe with technology - audio, video, security, automated lighting and shades – there is no clutter. 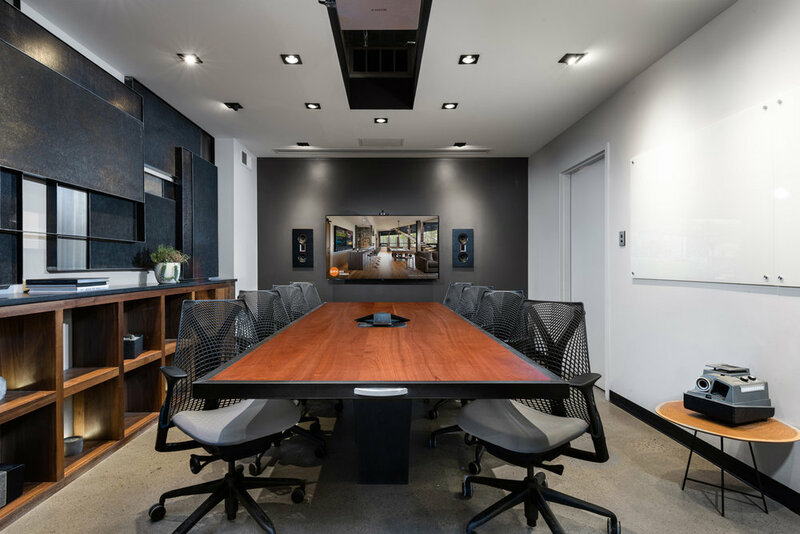 The only visible signs of technology are well-placed keypads, decretive LED fixtures, thoughtfully placed down lights, and mid-day, down-positioned shades. In the evening, as the sun begins to glare in from the west, the lights slowly illuminate and the strategically placed semi-transparent shades (or blackout depending on which room you are in) reveal themselves from custom pockets in the ceiling. SAV's automated programming is what makes this happen. In the moment, it was as if the lights and shades were talking to each other, congruent for the common good of creating calm. The aesthetics are uncompromising in these rooms. 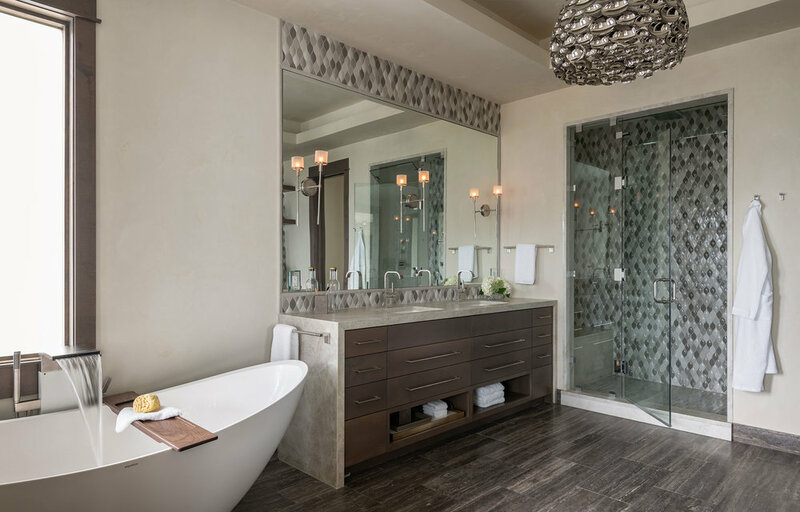 As you continue through the home, the use of subtle, ambient lighting enhances the space, from under bathroom counter tops, to the impressive stairway, offering soft-lit safety. Once in the downstairs, lighting and shades are manipulated by simple, custom-labeled buttons to enhance the environment. “Rec Room” brought everything to life, while individuals like “Entertain” lit only select features – the pool table, bar and wine cellar. The room simply transformed per your request, whether you just want to relax and watch a movie or chill with music streaming from all angles. 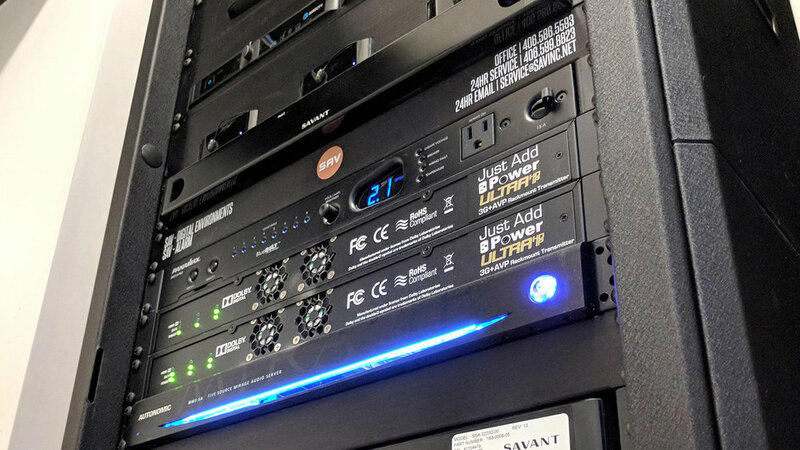 SAV Digital Environments orchestrates various technologies to work in concert. Though the structure itself, the materials used, the design elements throughout, and the attention to detail were very intentional and impressive, the customized integration of environmental enhancements brings this home to life. The lighting, the shades, the control, the feeling... This home is perfectly fit for an enhanced lifestyle, designed to work seamlessly with advanced technologies, bringing intuitive control to the environments throughout. 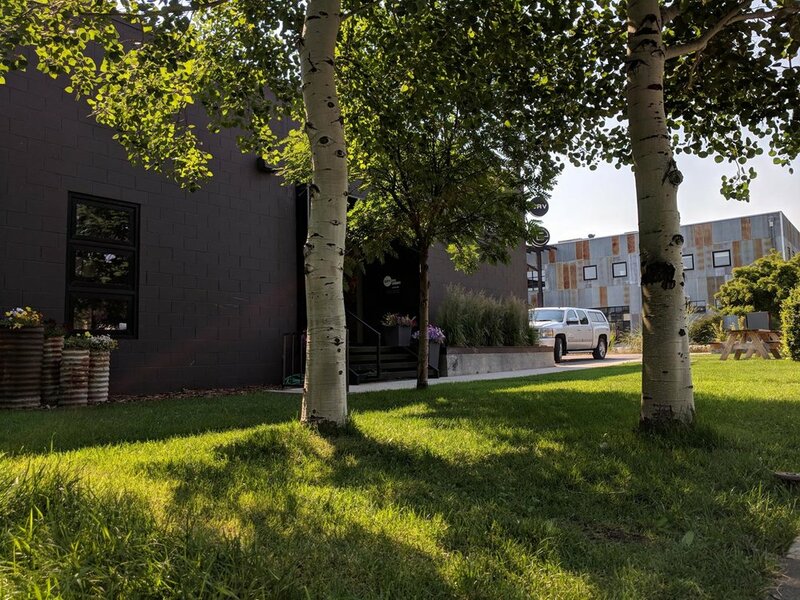 For over a dozen years SAV Digital Environments flagship office at 618 North Wallace in Bozeman has been the central hub for housing employees, meeting with partners and clients, parking the fleet, vetting and testing the latest and greatest technologies, building racks and so much more. 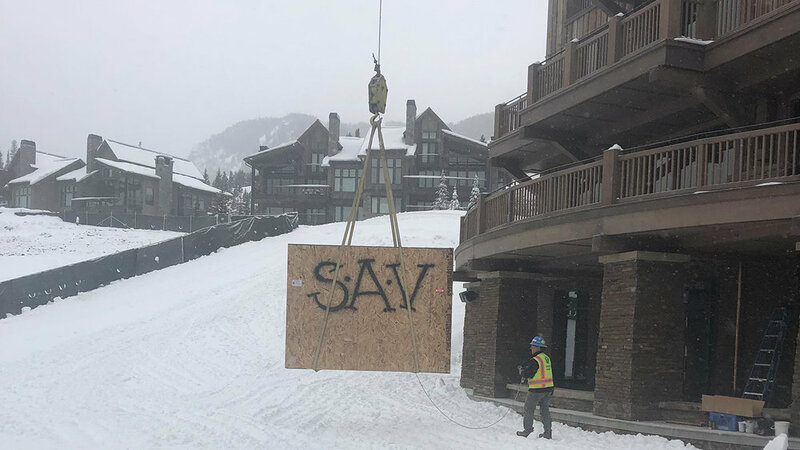 As SAV grew over the years, we opened 2 new locations; a showroom in Big Sky and an office space in Four Corners. 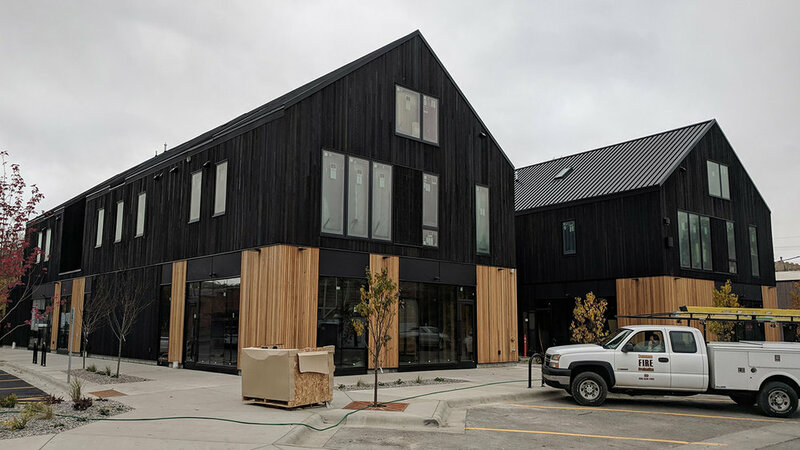 Inspired by the new showroom in Big Sky, our eclectic Bozeman space was recently transformed into an additional SAV showroom where visitors are able to walk through the front door and immediately experience some incredible examples of audio/video systems, automation, lighting and shade control, security and more. Explore Big Sky: On May 10, the innovative automation technology company SAV Digital Environments welcomed Earth Elements, a multi-faceted interior design and supply company, into their N. Wallace location with a ribbon-cutting ceremony for the grand opening of their new Design & Technology Showroom, a collaborative space at 618 N. Wallace St. in Bozeman. 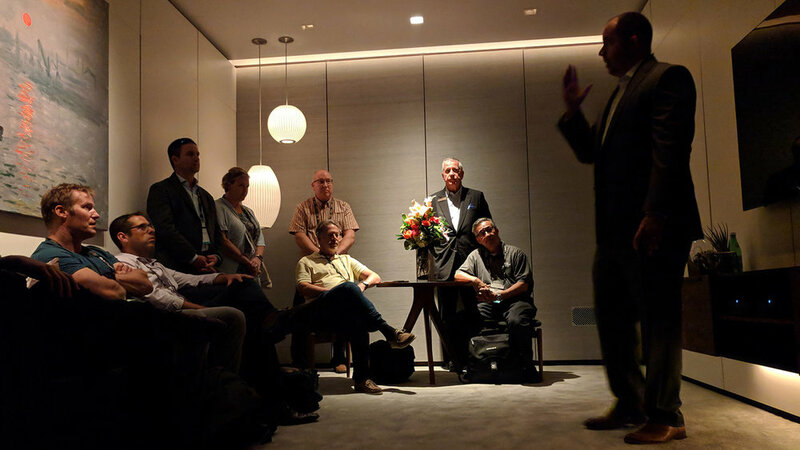 Audiophiles were treated to an extremely rare Steinway Lyngdorf Model B loudspeaker demonstration as they explored the new showroom and collaborative space enjoying hors d’oeuvres, refreshments and conversation. From technology specialists and project managers to design engineering and client services, cross-functional team collaboration and team work is of the utmost importance at SAV Digital Environments, in turn helping to produce the most successful project outcomes. 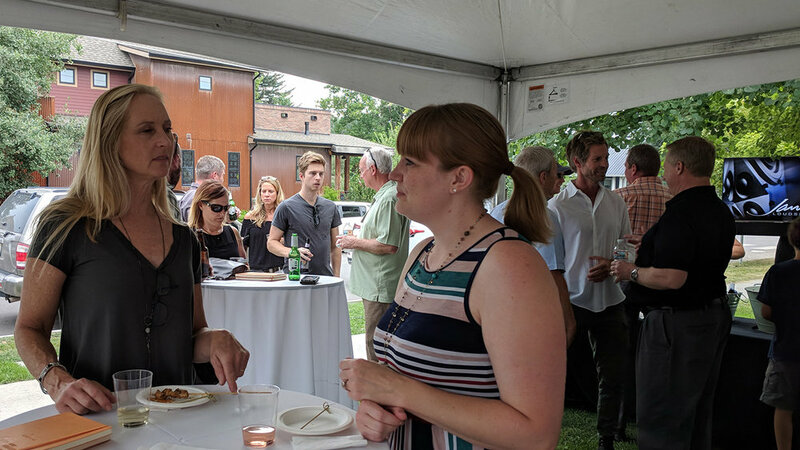 We greatly value this and enjoy spending time together visiting complete as well as in-progress projects as one team, witnessing not only our work come to life but seeing first-hand the results of our collaborations. 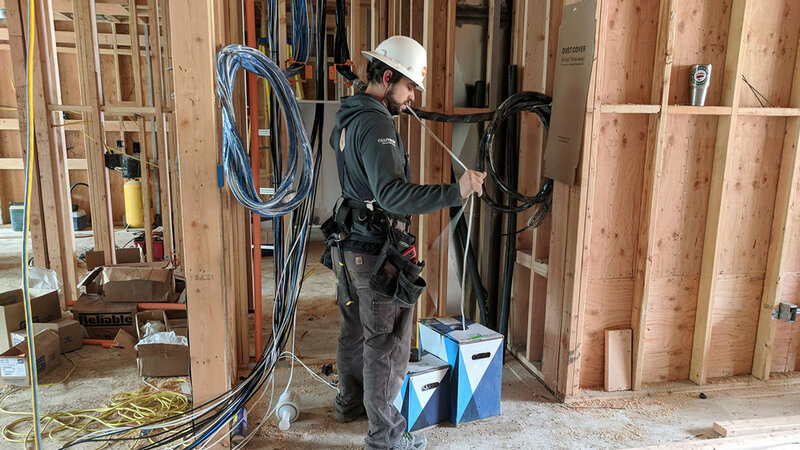 These "SAV on-site visits" are also a great reminder that behind every project there is a client, and our number one focus is the client... to deliver optimal results to each no matter the size or individuality of each. 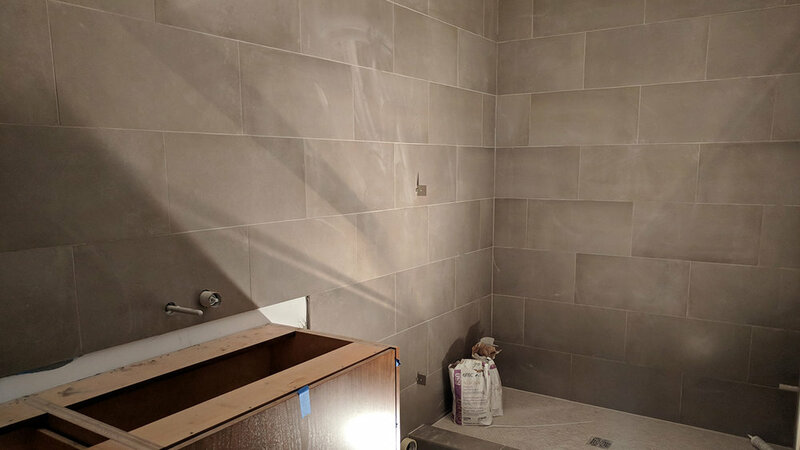 It is an intimate privilege that we're able to visit our client homes, during and after, discussing details of each unique environment we work on and what we can do to further better ourselves. 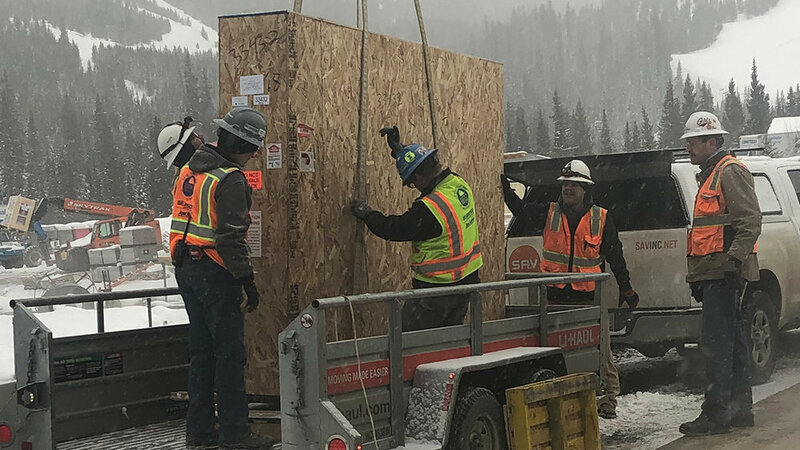 SAV was hired as a consultant to install specialized AV equipment in the new Montana State University parking garage, working with a team from MSU, including the Dean of the College of Arts & Architecture, Royce Smith, to turn an art installation vision into reality. From garage audio that changes sound effects whenever someone presses their car’s key fob and stairwell displays with custom sound bars that will screen student and faculty short films to iPads displaying details about the art seen throughout the garage, technology is proving to be much more than just watching a movie or listening to music. It’s also an audio-visual experience that interacts with visitors and showcases MSU’s commitment to innovation. “The parking garage will be an engaging showcase of our College’s and MSU’s creative mission. We’ll reach prospective students with our message from the moment they exit their vehicles and illustrate how unique the land-grant university experience can be!" During the design phase, SAV researched, tested, and demonstrated a proof of concept showing the possibilities, using software defined radio to monitor specific radio frequencies, remotely manageable. 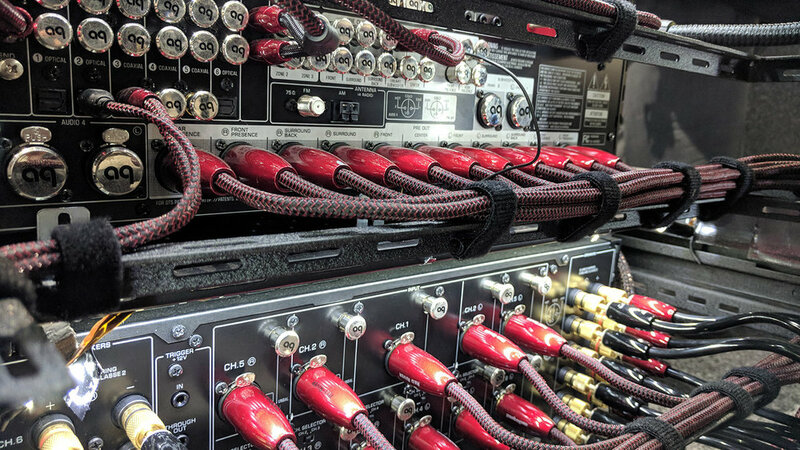 MSU wanted to be able to choose between having the same audio play though all of the speakers, or to have each sound bar play from its own dedicated source. The unique challenge here was that there wasn't any active control UI for the system. The displays are programmed to turn on in the morning and off at night. To solve this, SAV's design team came up with a solution – Biamp Tesiraforte AI DSP. This is programmed to default to the audio on input 1 if there is no signal to another, so the switching is completely automated. 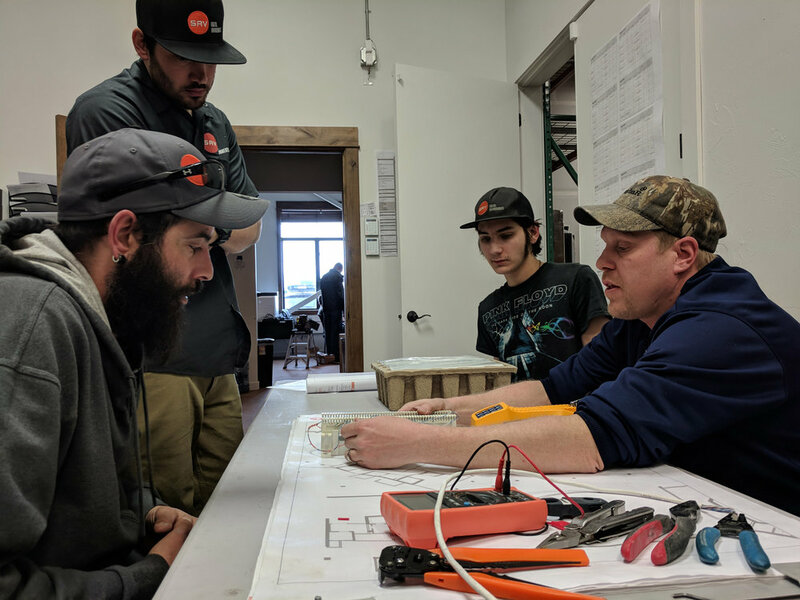 At SAV's ongoing trainings, our technicians receive the opportunity to learn, and continue learning, how to use all of the different tools that we use every day in this trade. 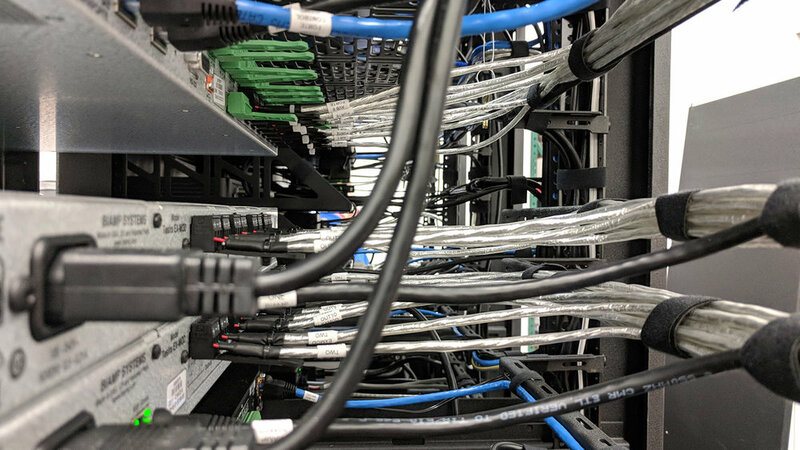 From terminating ends on all of the different types of cables out there, properly testing wires associated within our custom integrations, and learning what's old and what's new in our wire numbering system, to plans and procedures and so much more, technology progresses and so do we. 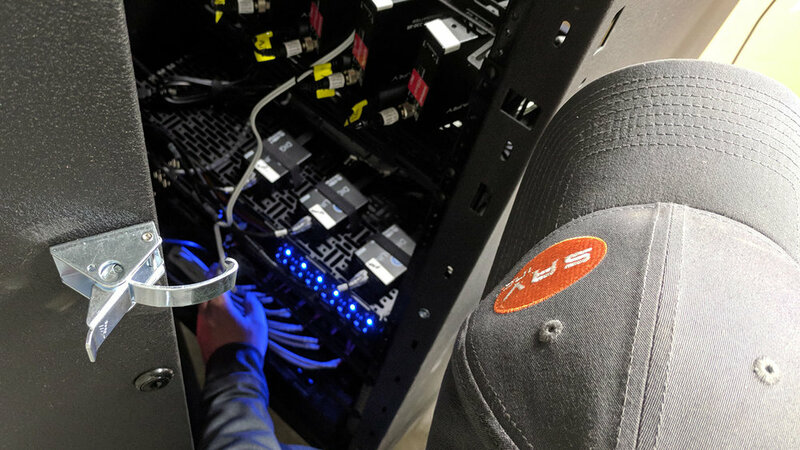 As custom integrators, we are presented with challenges on a daily basis... and we love finding solutions. When it comes to home and business automation, performance and aesthetics are key factors in successful integrations. 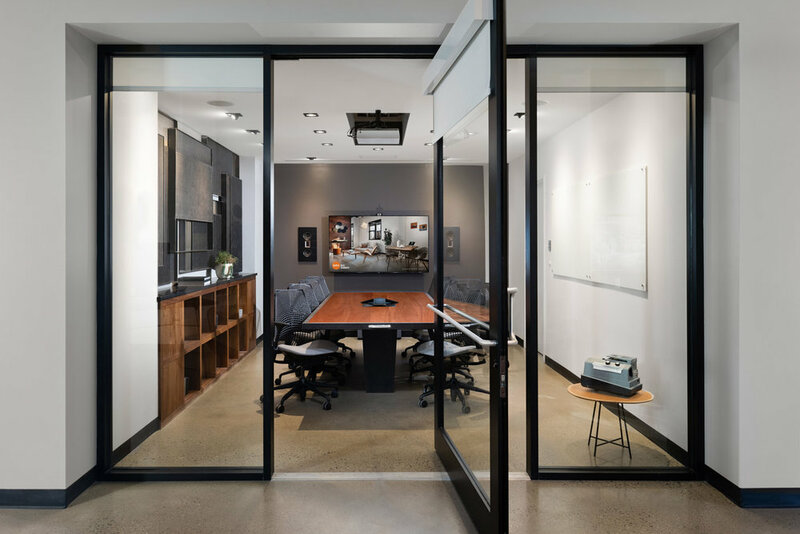 From television pop-up and drop-down lifts, to projector concealment systems, solutions from partners like Nexus 21 allow us to break down the barriers of conventional design and room orientation. Put your technology in motion with the touch of a button using the quietest, most reliable lift mechanisms available. Another custom integration offered by SAV that a lot of people may not know about; Home Water Security & Safety. 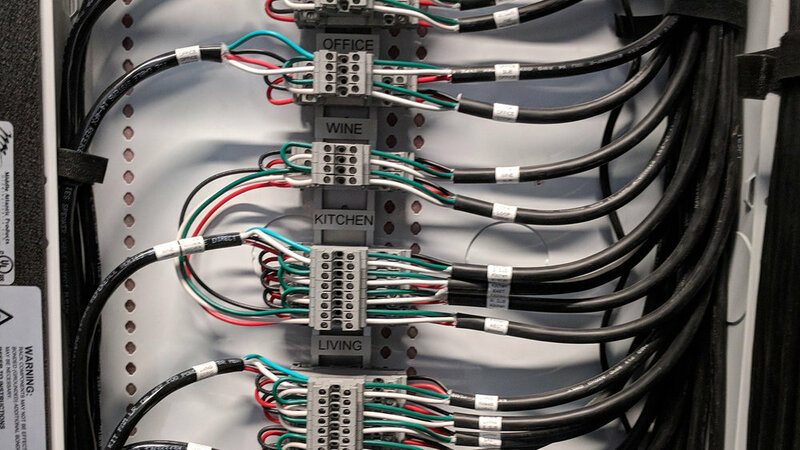 Automatic water shut-off systems provide round-the-clock indoor flood protection and work with wired and wireless flood sensors, wall switches, and most home security and home automation systems. Just wanted to let you know that the drain line from the clothes washer came adrift the other night and was spilling water in the laundry. The sensors detected the water, sounded the alarm and closed the shut-off. Very nice, thank you! – Angela S.
We were delighted to hear and happy to have played a part this "crisis averted." To learn more about adding home water safety, or anything else we offer as part of our security, surveillance and life safety division, email our Client Service department at service@savinc.net.